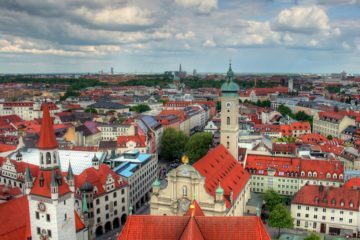 The Munich Oktoberfest finished at the beginning of the October, marking the 185th festival since the first, held in 1810 to celebrate the wedding of Crown Prince Ludwig. 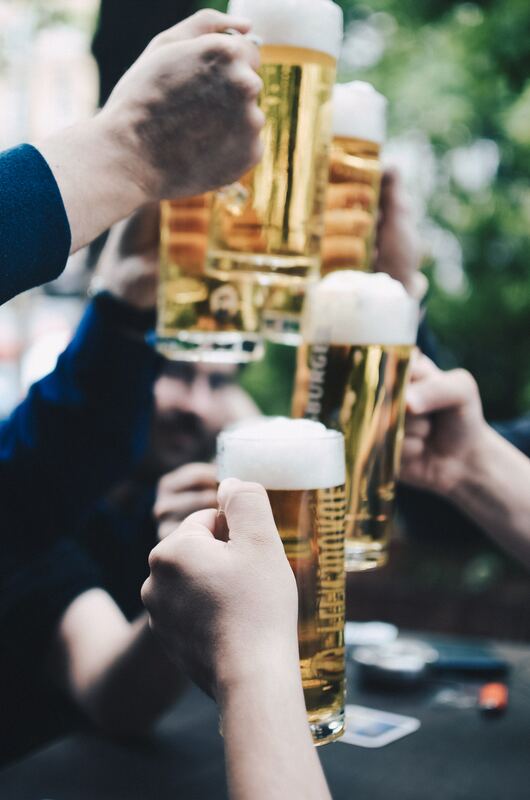 Oktoberfest actually begins in September, a move that has allowed for better weather conditions during the celebrations and visitors to enjoy die Wiesen or gardens outside the festival beer tents without discomfort. Historically, the final Oktoberfest weekend fell in October, and it’s this tradition that continues. Oktoberfest commemorative merchandise is widely available, and souvenirs includes steins and glasses – a new range is available each year. The beer stein is a traditional beer mug made of stoneware, often ornamental. Lids are optional (they were, and are, a sanitary measure as much as decorative), and beer steins generally hold a litre of beer. If you really want to feel part of the action, why not try out traditional Bavarian costume, such as Lederhosen or Dirndl dresses, or the Bavarian hat? You are guaranteed to not be the only person dressing up for the occasion and you’ll fit in a treat. The Oktoberfest operates Beer Serving Hours, and Oktoberfest stalls, sideshows and fairground attractions follow a very similar pattern, ensuring there is plenty going on throughout the event. 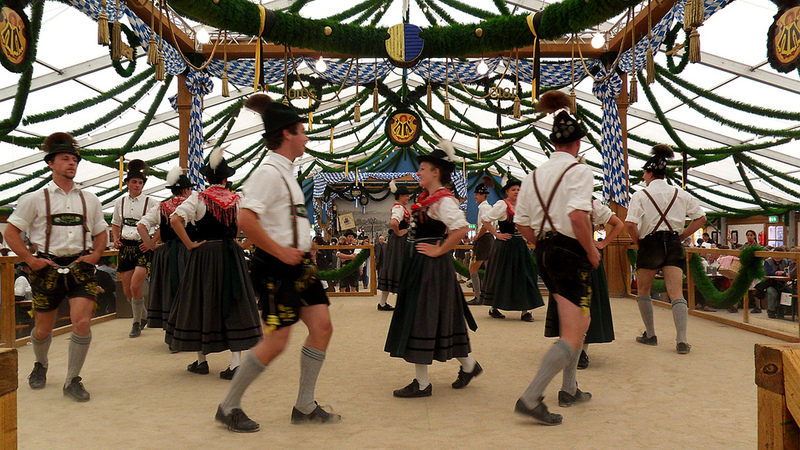 Next year’s Oktoberfest begins on Saturday 21 September, with the arrival of the tent patrons. At noon, the Mayor of Munich is granted the honour to tap the first Oktoberfest keg, which will be served to onlookers in the Schottenhamel Tent. It’s worth getting here early, as it’s a popular event: people often arrive several hours before the ceremony begins. Every year, on the first Wiesn Sunday, the Costume and Riflemen’s Parade follows the city mascot, Münchner Kindl from Maximilianstrasse to the Oktoberfest, after crossing the Kaiser Ludwig Platz. The parade comprises almost 10,000 participants and guests from across Europe take part. Expect seven (yes, seven) kilometres of entertainment including dancing, bands, beer wagons and flag bearers. It’s free to watch from the side of the road, but you can also reserve tickets for stands that line the route. The Böllerschießen is a handheld canon salute that takes place on the final Sunday of Oktoberfest, on the steps in front of the Bavaria monument. And the Schottenhamel Tent is where everything starts. You’ll be spoilt for choice when it comes to beer tents. There are 14 tents, each with something special of its own. 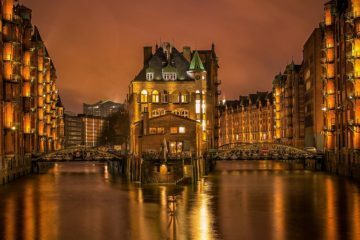 The Augustiner-Festhalle is considered to be the friendliest of the tents, but if you want to see celebrities, head for Winzerer Fahndl or Kafer’s Wies’n-Schanke. The Armbrustschutzen-Festhalle is where you’ll find one of the Wiesn highlights – the crossbow competition, and the Lowenbrau-Festhalle has a 4.5 metre-tall lion on display. 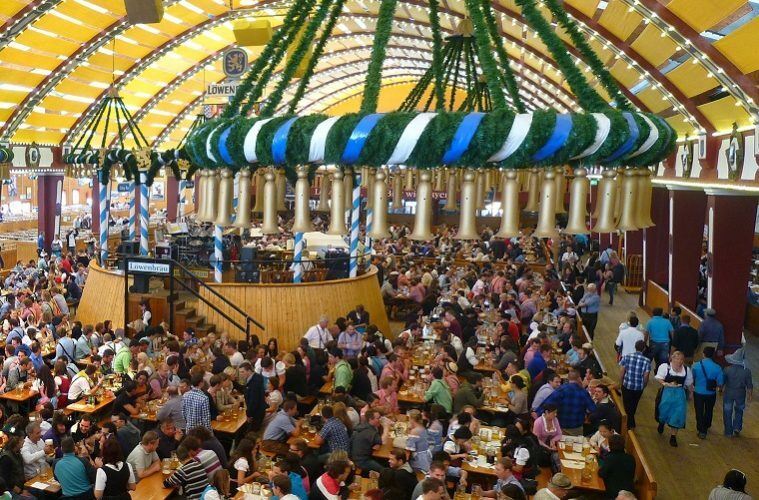 To get a feel for how busy it gets during Oktoberfest, click here, to help you plan your visit. The festival is free, although all beer must be paid for.